This is an absolutely fantastic & beautifully proportioned decanter. 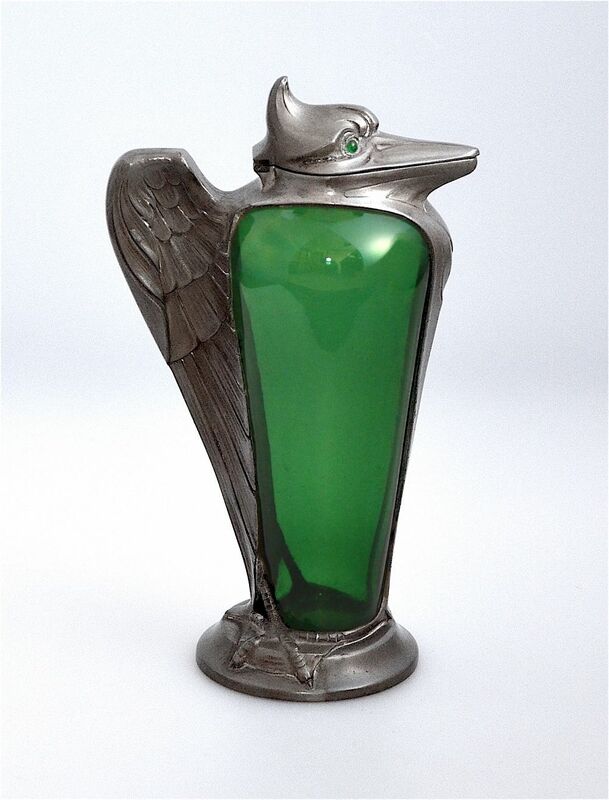 Made by Osiris dung the period 1901 - 1909, the pewter decanter is shaped as a grotesque bird with a green glass body and green glass eyes. The head is hinged and opens to form the lid and the wings form the solid handle. 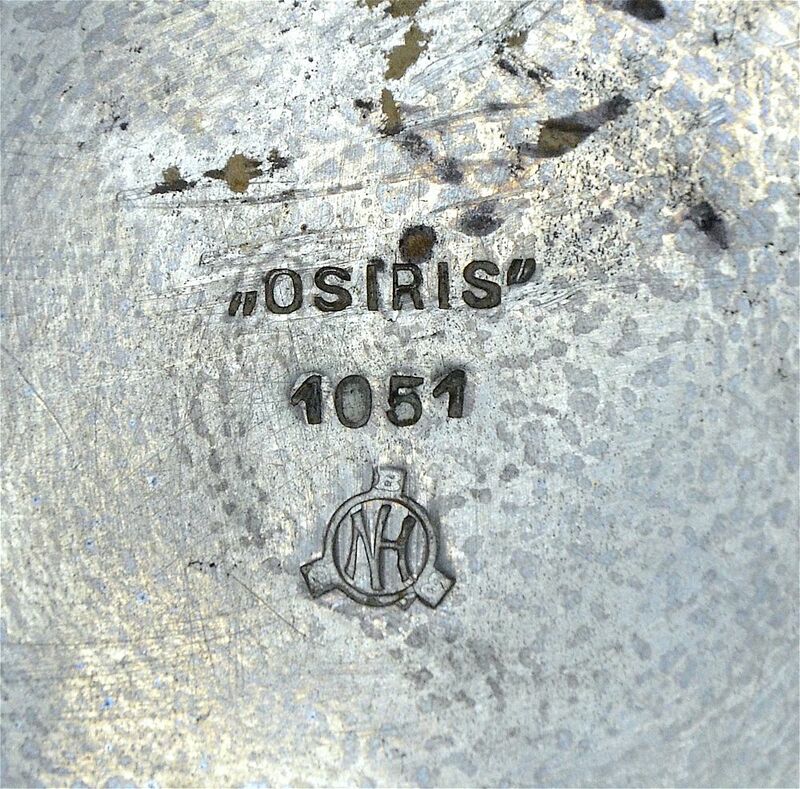 The base is stamped "Osiris 1051" and has the "NH" monogram for the Nurnberger Handwerkskunst. The design is attributed to Peter Behrens.